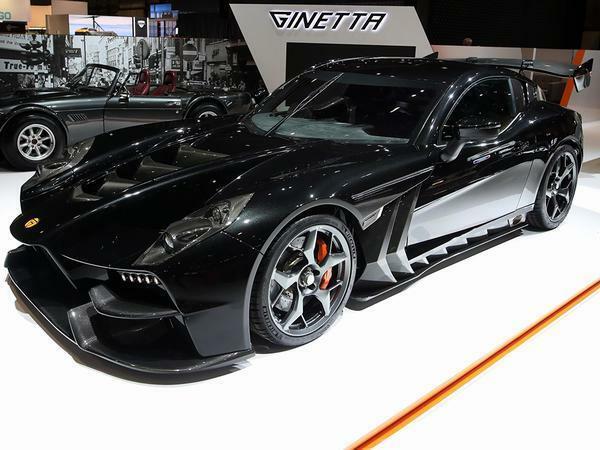 Ginetta's new 583hp supercar has been unveiled at the Geneva show. Alongside confirmation that the all-new model will cost £340,000 in Britain, chairman Lawrence Tomlinson also revealed that it will be called Akula - the Russian word for 'shark'. Appropriately for a machine that shares its name with a class of attack submarines, the show car appeared in Typhoon Black. 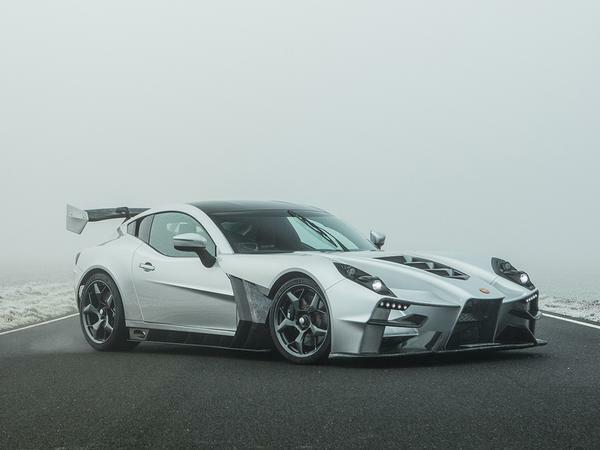 Set to make production in 2020, and 'designed from a blank sheet of paper' it is intended to deliver 'an utterly capable supercar' based on the lessons learnt in the firm's extensive racing experience. Its maker claims that every aspect of the car has been optimised thanks to the no-compromise approach. 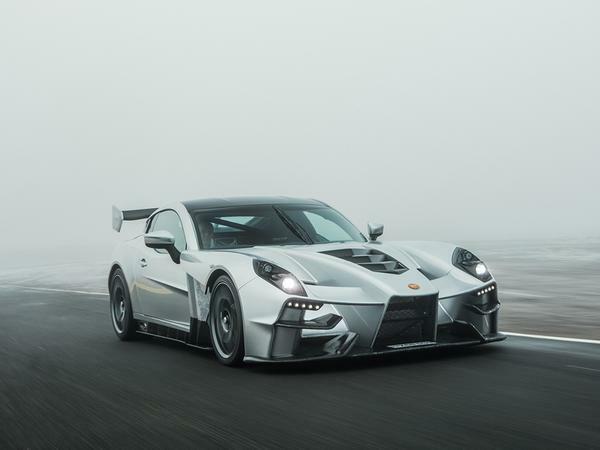 The dry-sumped, 90-degree V8 is constructed from a single aluminium billet block, features bespoke throttle bodies and is said to be mounted much further back than in 'conventional supercars'. 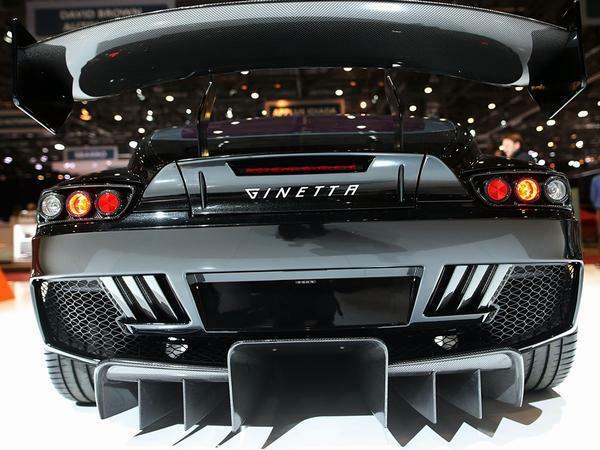 It is mated to a six-speed sequential gearbox, and delivers 525lb ft of torque to the rear wheels. A bespoke carbon tub provides the car with its backbone, which comes attached to double wishbone front suspension and pushrod-operated double wishbone rear. There are Alcon ceramic discs and the tyres, which are wrapped around 19-inch front and 20-inch rear wheels, are Michelin Pilot Sport 4s. This rubber was chosen for its effectiveness on road, suggesting that the car's extreme appearance might not be accompanied by a scary demeanour. 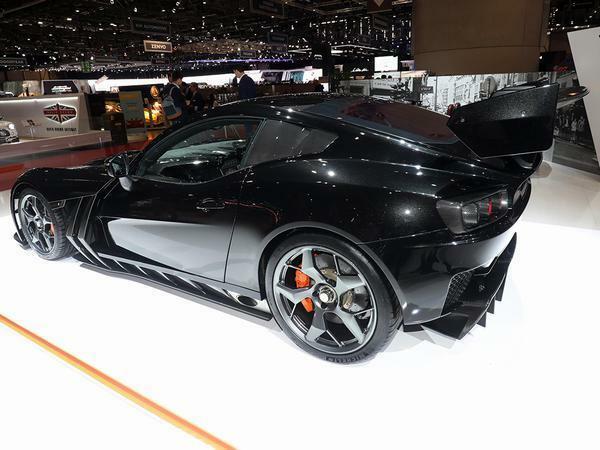 That being said, it comes wrapped in a rather exotic carbon body shaped by Ginetta's racing expertise. Indeed it's claimed that the new model makes 376kg of downforce at 100mph, or just five per cent less than the brand's LMP3 car. 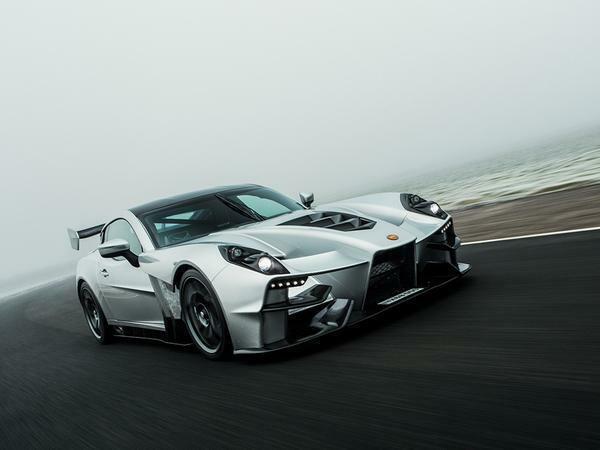 All in it weighs just 1,150kg, giving it a power-to-weight ratio of over 550hp per tonne, while distribution of mass is said to be 49% front and 51% rear. No need to explain the potential of those numbers on PH. Additional points of interest include hydraulic steering (operated via a carbon wheel), an adjustable pedal box and scope for "balancing the car on the throttle" that "requires no electronic aids." Although there is traction control, ABS, parking sensors, a reversing camera, wireless phone charging and, somewhat incredibly, a 675-litre boot. Speaking at the show, Tomlinson added: "The concept behind the Akula was to build something truly individual, something that other brands cannot do due to corporate constraints. Designed to cut through the air like a shark through water, the car unquestionably means business, and I'm proud to be manufacturing a car of such significance in the UK." 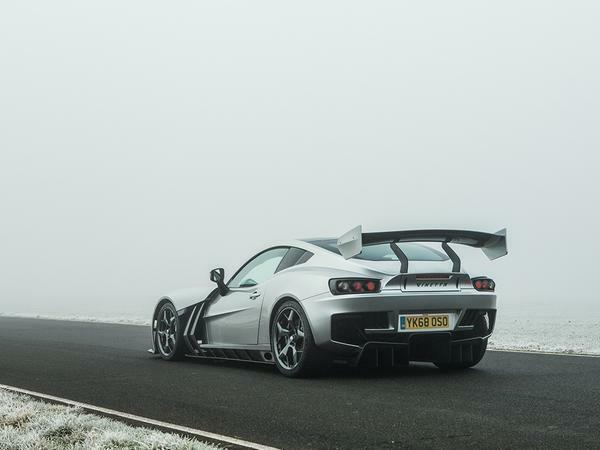 Owners will be fitted to a seat for their car, invited to track tests and taken through "a bespoke specification programme with myriad configuration options available." Ginetta confirmed to PH that 14 examples of the 20-car allocation are already spoken for. 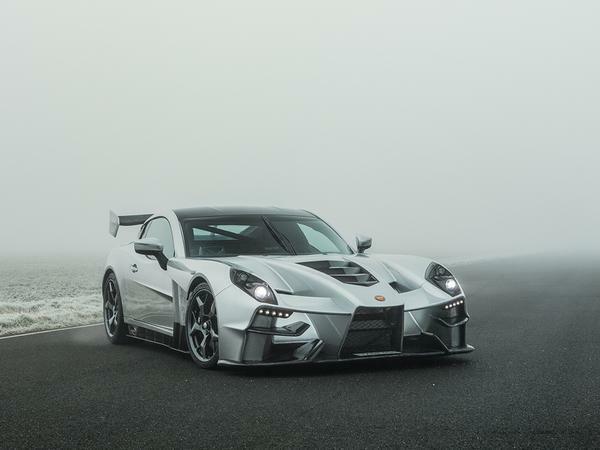 While one has to applaud anyone who can do what Ginetta has done in building a successful niche sports car manufacturing operation ( and let's face, they have succeeded where hundreds have failed ), you can't help thinking that this has the look of a "leap too far". Are there really people out there willing to spend that sort of money on a car like this ? I hope for their sake's there is, but really struggling to think who this will appeal to, other than the semi-mythical person with loads of money and loads of cars who just buys another one every week as they have nothing better to do. Careful they don't go bust...which is an awful thing to say. "I have felt for a long time there was a gap in the market at around the £400k price point.."
I don't have £400k to spend on a car (if they'd made it £399k then ok) so my opinion counts for nothing but if I did have £400k I'm not sure I'd be spending it here.